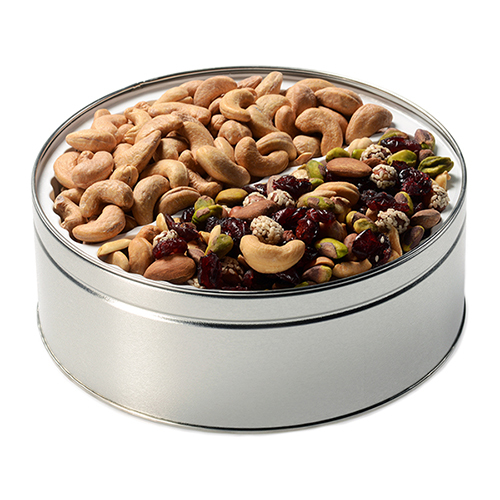 Delight the nut lover with tempting tidbits from Fastachi. 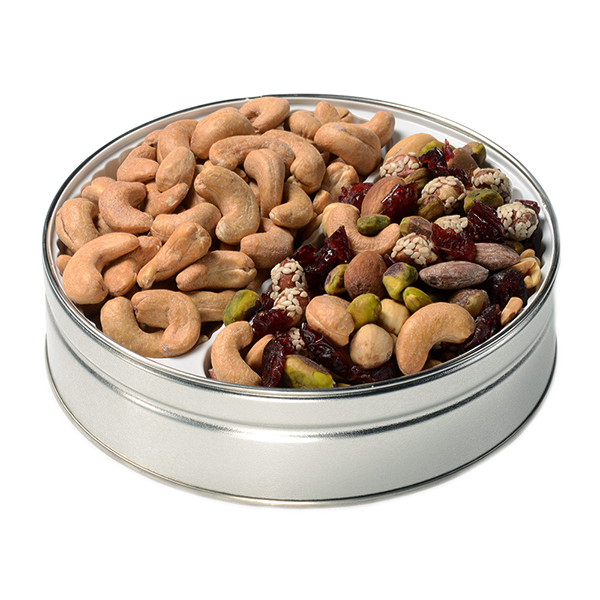 Enjoy your favorites, Fastachi Salted Cashews and our signature Cranberry Nut Mix. 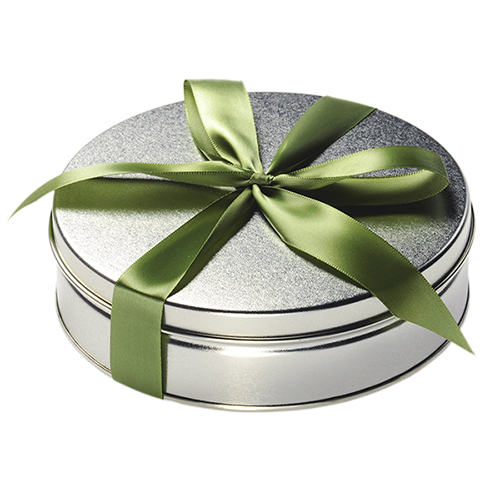 Matte silver gift tin holds every pleasure, and is hand-tied with ribbon. 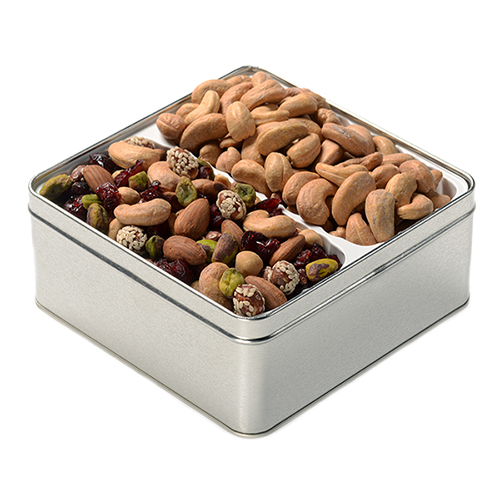 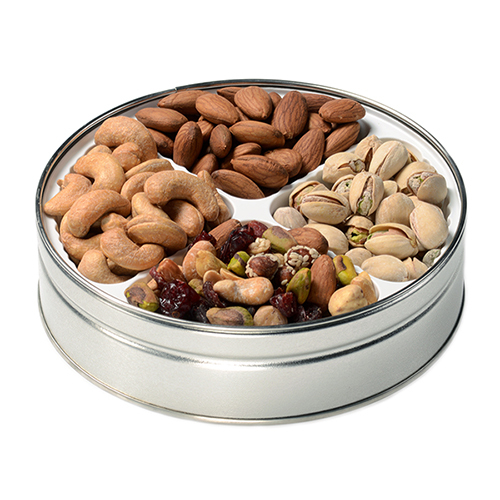 gift dimensions 6½" x 1¾"
Great Nuts & Gift Options!